Faithless #1 (BOOM! 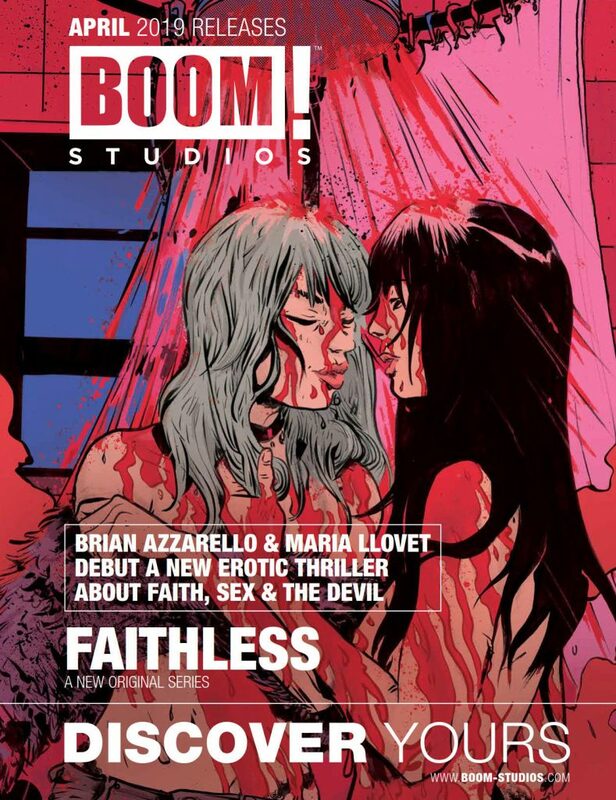 Studios) – New York Times bestselling writer Brian Azzarello (Batman: Damned) and artist Maria Llovet (Loud) with Eisner Award winning artist Paul Pope on covers coalesce in a story of self-exploration, eroticism, and maybe even love. 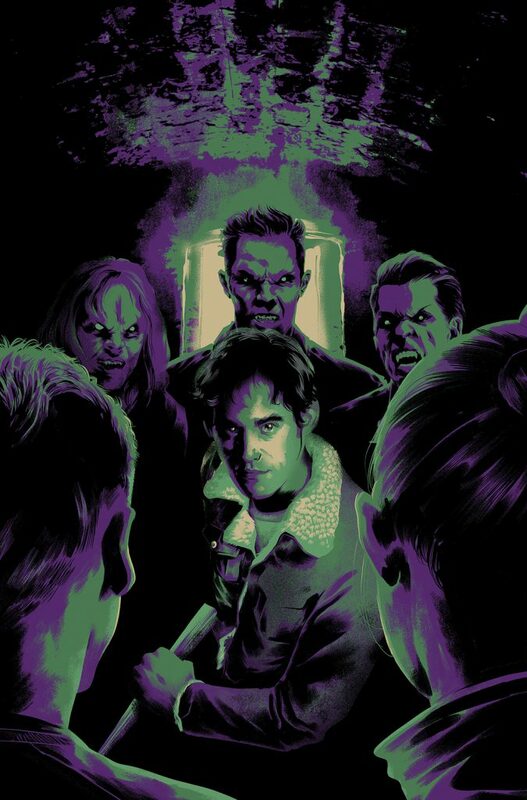 Buffy The Vampire Slayer #4 (BOOM! Studios) – In the shocking conclusion of the first story arc someone from the Scooby gang must make the ultimate sacrifice. Rocko’s Modern Afterlife #1 (KaBOOM!) – Rocko returns in this new limited series from writer Anthony Burch (Borderlands 2) and Mattia Di Meo (Ben 10: For Science!) for a spooky look at everyone’s favorite wallaby! Jim Henson’s The Storyteller: Sirens #1 (Archaia) – The critically acclaimed Jim Henson’s The Storyteller celebrates four mythic tales of sirens, inspired by folklore from around the world and told in the spirit of Jim Henson’s beloved television series. Plate Tectonics: An Illustrated Memoir HC (Archaia) – Plate Tectonics: An Illustrated Memoir follows cartoonist Margaux Motin through one of the most transformative periods of her life as she navigates her own heartbreak and subsequent hope with unabashed wit and charm. Advance solicited for June. Hexed Omnibus SC (BOOM! Studios) – Collects all 16 issues of the original Hexedlimited series and its sequel series Hexed: The Harlot and the Thief. Advance solicited for June. Coda Vol. 2 SC (BOOM! 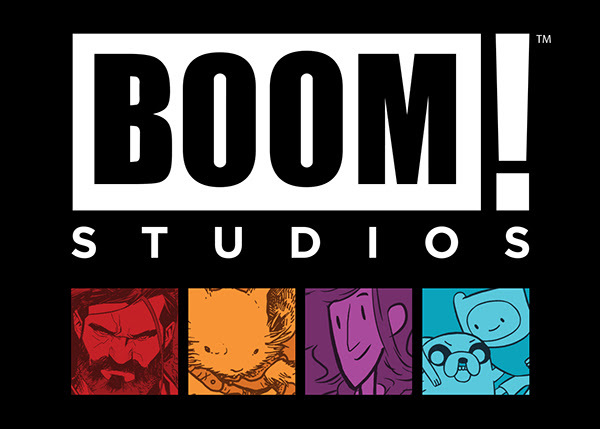 Studios) – Collects issues 5-8. Advance solicited for June. Low Road West SC (BOOM! 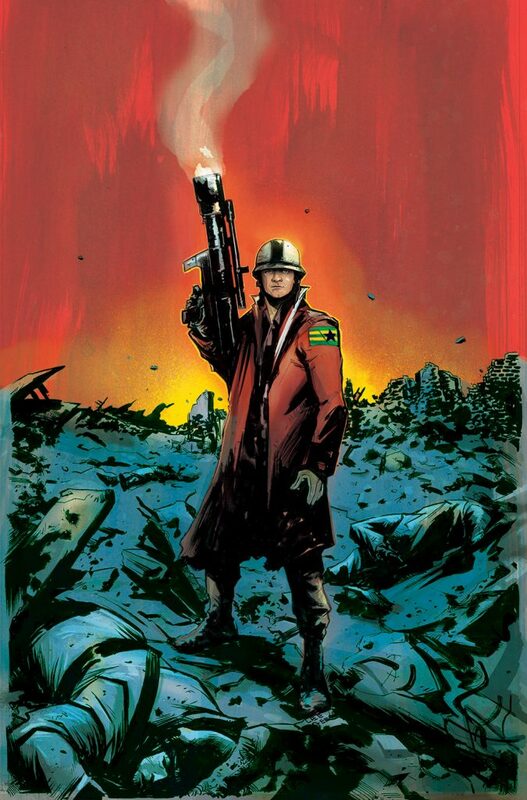 Studios) – Written by Eisner Award-nominated author Phillip Kennedy Johnson (The Power of the Dark Crystal, Aquaman) and illustrated by Ringo Award-nominated artist Flaviano (Thanos, Spider-Man/Deadpool), Low Road West is a story about coming of age in the throes of war, and carving your own path despite an uncertain future. Collects the complete 5-issue series. Advance solicited for June. The Thrilling Adventure Hour: Residence Evil (BOOM! Studios) – Written by the creators of the wildly popular Hollywood stage show and podcast, Ben Acker and Ben Blacker (Deadpool, Star Wars Adventures), and illustrated by M.J. Erickson,The Thrilling Adventure Hour: Residence Evil is a rip-roaring adventure that harkens back to the heyday of old-time radio entertainment. Advance solicited for June. Mighty Morphin Power Rangers: Lost Chronicles Vol. 2 SC (BOOM! Studios) – Collects Mighty Morphin 2018 Annual and the Mighty Morphin Power Rangers Anniversary Special. Advance solicited for June. Big Trouble In Little China Legacy Edition Book One SC (BOOM! Studios) – Collects Big Trouble in Little China #1-12. Advance solicited for June. Jim Henson’s The Dark Crystal: The Novelization SC (Archaia) – Featuring unpublished illustrations by legendary illustrator Brian Froud and the production design team at JIM HENSON’S CREATURE SHOP as well as Jim Henson’s never-before-seen notes on an early draft of the adaptation detailing his vision for the fantastical world of Thra. Advance solicited for June. Giant Days Vol. 10 SC (BOOM! Box) -Collects Issues #37-40 of the Eisner Award-nominated series. Advance solicited for June. Adventure Time™ Season 11 Vol. 1 SC (KaBOOM!) -Cartoon Network’s Emmy Award-winning series continues in Adventure Time™ Season 11—the only place to get new, official Adventure Time™ stories! Collects issues #1-4. Advance solicited for June. Garfield: Snack Pack Vol. 2 SC (KaBOOM!) – Collects Garfield 2018 Vacation Time Blues #1 and Garfield 2018 TV Or Not TV? #1. Advance solicited for June. Regular Show™: 25 Years Later SC (KaBOOM!) – Twenty-five years after the epic battle between Pops and Anti-Pops, Mordecai, Rigby, and the rest of their friends return to the park for a reunion! Collects the complete 6-issue series! Advance solicited for June.